(02.09.2010 , FRANKLIN, Tenn.) The 25th anniversary is silver, the 50th is gold. And the 40th Another precious metal, or more correctly metal, rubber and glass -- the Nissan Z®. Forty years ago, on October 22, 1969, the Datsun 240Z arrived in North America, heralding a new era in sports car design. Where previous sports cars were primarily a.) imported from England or Germany b.) expensive c.) fragile or unreliable or d.) all of the above, the new import from Japan offered the performance of a Porsche, the looks of a Jaguar and the price and reliability of, well, a Nissan. The 240Z was a revelation to the automotive world -- an affordable sports car that could be driven every day and was accessible to anyone with the $3,626 base price. And though the price of a new Z® might have changed a little in the past 40 years, its unmatched value, style, performance and segment leadership remains stronger than ever. To celebrate, Nissan has created a special, limited production version of the current 2010 Nissan 370Z Coupe, the 370Z 40th Anniversary Edition. It will be offered at select Nissan dealers nationwide beginning in late February 2010, with availability limited to 1,000 units. "Throughout the history of the automobile, a rare handful of cars stand apart as vehicles that not only capture the imagination of the world but also embody the essence of the automaker's brand, engineering and ideals. The Z® is just such a vehicle," said Al Castignetti, vice president and general manager, Nissan Division, Nissan North America, Inc. When the original Datsun 240Z debuted as a 1970 model, its design and performance were considered state-of-the-art: a 150-horsepower 2.4-liter single overhead cam inline 6-cylinder engine, 4-wheel independent suspension, 14-inch wheels, choice of a 4-speed manual or 3-speed automatic transmission, and a quarter-mile acceleration time of 17.1 seconds at 84.5 miles per hour. The 240Z was conceived as a closed coupe body, rather than the typical open-top sports cars of the age, to enhance body rigidity and, therefore, improve handling and durability. horsepower 3.7-liter dual overhead cam V6 engine with VVEL (Variable Valve Event and Lift), lightweight 4-wheel independent suspension with extensive use of aluminum components, available 19-inch super lightweight forged alloy wheels, choice of 6-speed manual transmission with innovative SynchroRev Match or refined 7-speed automatic and independent quarter-mile acceleration times of 13.5 seconds at 106.6 miles per hour. And today, the recently introduced 370Z Roadster -- with its automatic-operation fully lined cloth top, offers nearly the same body rigidity and performance as the rock-solid 370Z Coupe. Also, where the 240Z offered what many considered "luxuries" in a sports car -- including roll-up windows and radio, today's 370Z is offered with items such as Nissan Intelligent Key with Push Button Start, Bluetooth® Hands-free Phone System, XM® Satellite Radio and an advanced Nissan Hard Drive Navigation System with touch-screen, XM NavTraffic® Real-Time Traffic Information and NavWeather (XM® subscription required, sold separately), Zagat® restaurant guide, 9.3GB Music Box hard drive for digital music storage and playback and a USB fort for iPod® connectivity. The 370Z 40th Anniversary Edition starts out as a 370Z Coupe Touring model equipped with manual transmission and Sport Package (including SynchroRev Match, front chin spoiler, rear spoiler, Nissan Sport Brakes, 19-inch Rays forged aluminum-alloy wheels and viscous limited-slip differential) and adds a premium "40th Graphite" exterior color and red leather-appointed interior. Additional exclusive equipment includes a high-luster smoke wheel finish, red brake calipers and 40th Anniversary badges on the rear hatch and front shock tower brace. Inside, along with the red leather-appointed seats are red door panel inserts, 40th Anniversary seatbacks with debossed logo, floormat logo embroidery, red stitching on the center stack, shift boot and kneepads, smooth leather steering wheel with red stitching and interior 40th commemorative plaque. Every 40th Anniversary Z® also comes with a commemorative premium satin car cover. The Manufacturer's Suggested Retail Price (M.S.R.P.) for the 370Z 40th Anniversary Edition is $38,860 USD. The journey from the original 240Z to the current 370Z, of course, made a number of interesting stops along the past 40 years. Interestingly, the 240Z might not have made the journey to America in the first place, if not for the efforts of one man. was just one problem -- the vehicle's name: the Fairlady Z (which is still used in the Japanese market today). With a name change for this market to "240Z" and some aggressive marketing, including early motorsports success, the Z® became an instant hit -- bringing attention and buyers not just to Z®, but also to the entire brand. After overseeing Nissan's growth in the U.S. in the '70s, Katayama returned to Japan and remains, to this day, linked to the Z®'s success here and around the world. On September 15th, 2009, Mr. K celebrated his 100th birthday and received cards and birthday greetings from Z® lovers everywhere. In 1974, as the engine displacement climbed to 2.6 liters the name changed to 260Z. The 2+2 model with an extended roofline and tiny back seat also appeared. In 1975, engine size increased again to 2.8 liters and the name changed to 280Z. Z® cars continued to dominate on the racetrack, with Pete Brock, John Morton, Bob Sharp and P.L. (Paul) Newman among the many talented drivers. Z® sales continued to climb with the introduction in 1979 of the new second generation 280ZX. Now priced at just under $10,000, the 280ZX was named Motor Trend "Import Car of the Year" and sales passed 86,000 units. T-tops and a turbocharged engine followed in the early '80s. In 1984, Z® engine displacement increased again, with a 3.0-liter V6 replacing the classic Z® inline-6, and the 300ZX was born. Also, a specially equipped model celebrating the company?s 50th anniversary and priced at $25,999 was introduced. The 1984 Z® was the best selling sports car in America. The next breakthrough in Z® history came in 1990 with the arrival of the totally redesigned, fourth generation 300ZX. Offered in two-seat and four-seat 2+2 models, it offered an unheard of 222 horsepower and a top speed of 150 mph. A few months later, the 300ZX Turbo followed -- with 300 horsepower, a 160-mph top speed and a $33,000 price tag. The 1990 300ZX captured the Z®'s second Motor Trend "Import Car of the Year" award, along with a spot on Car and Driver and Road & Track "10 Best" lists. The 300ZX also captured Automobile's "Design of the Year" and the first of four "All-Stars" awards. By the mid-'90s, however, sports car sales in general were slowing and the Z® had lost its "affordable" sports car positioning. With Z® sales declining sharply and the core "value" positioning no longer part of the "Z® DNA," sales of the Z® in the U.S. slumped and sales were stopped following the 1996 model year. The last 300ZX imported into the U.S. was inducted into the Petersen Automotive Museum in Los Angeles. The next chapter of the Z® history came just before the end of the century. In 1999, Nissan and Renault formed what has become the highly successful Renault-Nissan Alliance. Mr. Carlos Ghosn was assigned by Renault to head the new management team. Among his first tasks was not just to look at the business aspects, but to find the "soul" of the company. In interview after interview, people inside and outside the company brought up one model to him, one letter: Z®. Development of the new Z® began later that year, with the return to the values of the original 240Z -- a car that sports car enthusiasts would look forward to driving everyday; quick, inspiring and affordable. 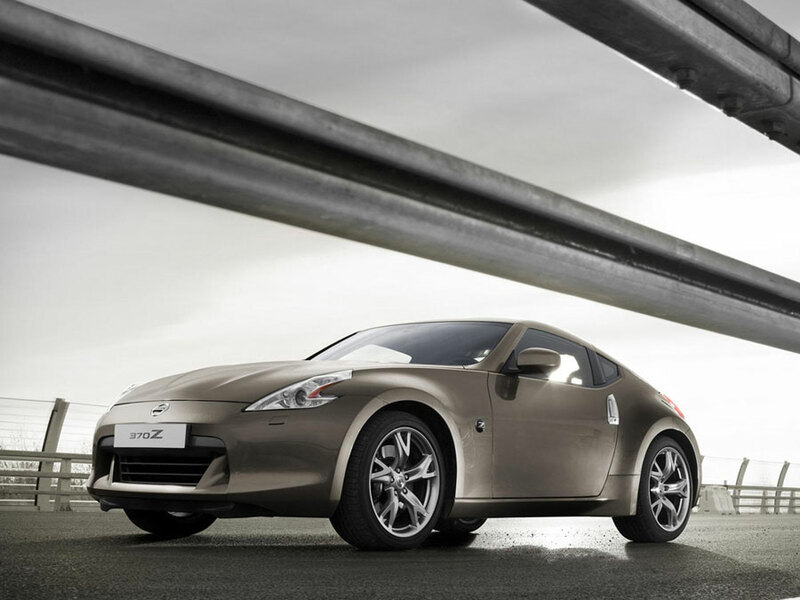 In summer 2002, the Z® was reborn with the introduction of the 2003 350Z. It was delivered, as promised, with an MSRP of under $30,000. 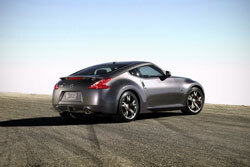 Following the 350Z's unprecedented success, the sixth generation Z®, the 2009 370Z was launched last December. Now the little sports car that could comes full circle with the announcement of the 370Z 40th Anniversary Edition. "It's almost inconceivable that it has been 40 years since the original 240Z changed the course of Nissan and the concept of affordable, everyday sports cars," said Castignetti. "In a year, 1969, marked by the first man to walk on the moon, the 240Z made a remarkable first step of its own. Happy anniversary, Z®."